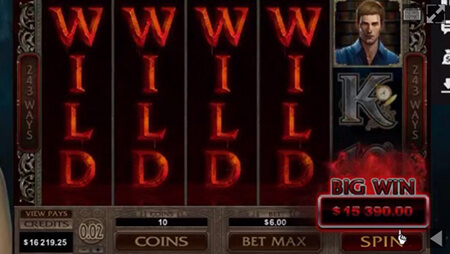 "A wide selection of slot games"
GoWild may have had a rocky start when they first launched in November 2008, but they did a lot of work to improve their operations and became an accredited casino in 2011. In July 2017, they switched from being a Microgaming download casino to one in which players can access the games in their browsers. They also brought on games from NetEnt, Play’n GO, iSoftbet, Evolution, and Betsoft. So they have a great collection of games – unless of course you are looking for video poker. Their support is in several languages – English, Swedish, German, and French. They are licensed in Malta. 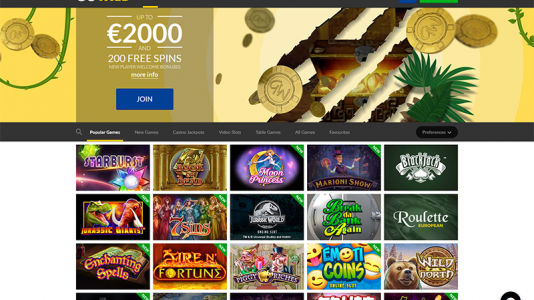 GoWild was an Accredited casino up until August 2017 – there were a couple of complaints that needed to be clarified a bit more than they were. Unfortunately, they were removed from the Accredited section – at first they were rogued, but this “rogue” listing was due to the meltdown over several issues in the forum, one of which revolved around whether or not a player had his winnings confiscated for bonus-connected irregular play. When the problem was submitted to us, it was a non-bonus play issue – where we ruled in favor of the player. Later, due to a possible language barrier, it was discerned that indeed the player was redeeming loyalty points, which are considered bonuses. In the end, the player and the casino came to a mutual agreement and this was resolved. The other outstanding player issue is in progress at the moment. It is also being reviewed by the MGA. So we are considering the status of GoWild until this all pans out. 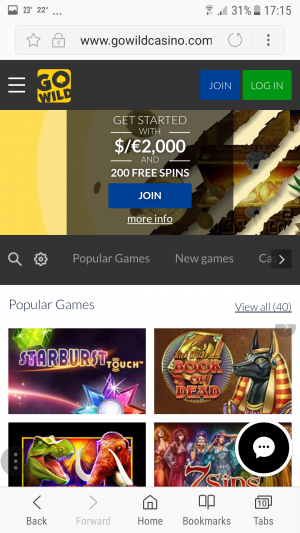 GoWild casino used to be a Microgaming downloadable casino – but alas no more. They now have the standard fare of games offered by Microgaming (Quickfire version), Netent, Evolution Gaming, Play’n GO, iSoftbet, and Betsoft. 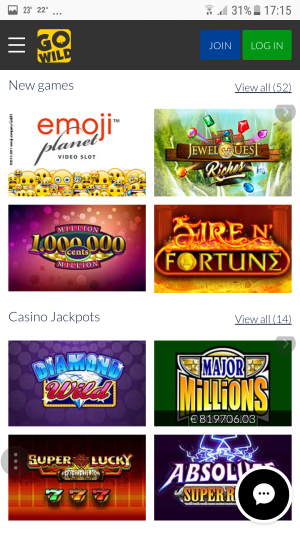 So they have a wide selection of slot games – they have pretty much sacrificed their video poker for slots. 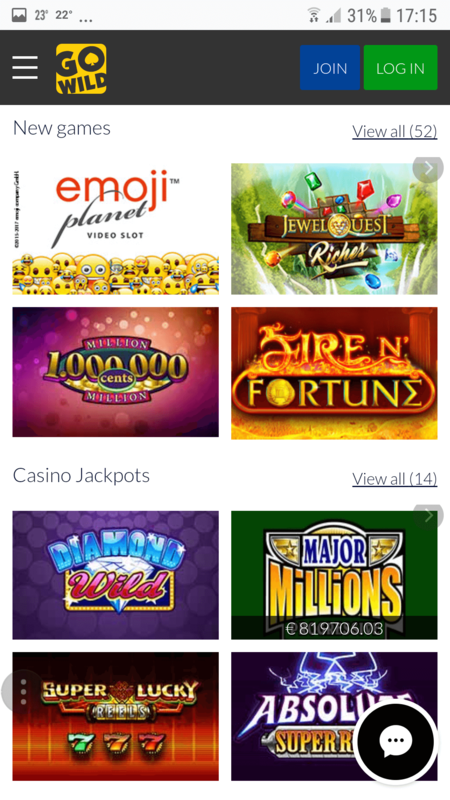 Microgaming downloadable software includes 57 versions of Video Poker – you won’t find it here. Meister minions are our awesome members who dedicate time and energy to help review the casinos listed at Casinomeister. They are our trustworthy data collectors, and are awarded each month for doing so. If you are interested in joining the ranks of the awesome, please check out this page: Becoming a Meister Minion. Most of GoWilds games are available via your mobile device or tablet. The casino has been on a roller-coaster – they have had some great reviews from us and players, then they go to hell, then they become great again, and then they take another dive. We are in the process of reviewing their status at the moment.